Geuder sounds like the name of an artist. It’s not, but the Geuder Megatron S4 HPS is a work of art. It is perfection through flexibility, a dynamic system that caters for individual operating styles and surgical expertise. You will see the difference and so will your patients. Create a vacuum three ways without interrupting the procedure. The multi-pump system allows you to move seamlessly from Peristaltic to Venturi to Hybrid-Venturi modes, the latter being unique to Geuder. 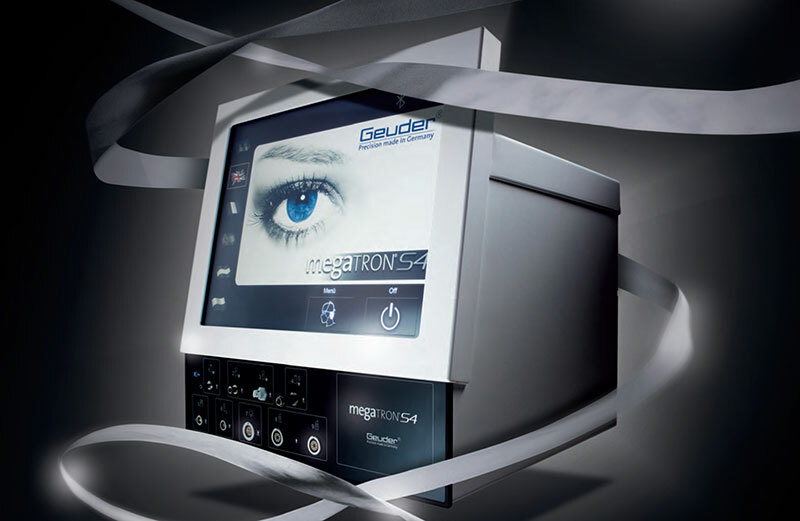 Unique Intraocular LED light source integrated into the hand-piece provides excellent cold illumination and optimal contrast, without the need for a central light source. An internal compressor eliminates fluctuations quietly, optimises surgeon mobility and increases patient safety. As with all our equipment, the Megatron S4 HPS is delivered with our on-going support and passion for world’s best technology.